Die Jazztage in Leverkusen sind schon lange eine feste Größe. Zum Thementag „Superbass II“ begann der Abend im Forum mit Omar Hakim feat. 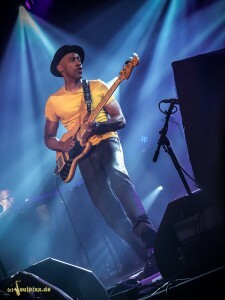 Victor Bailey & Rachel Z.
Schlagzeuger Omar Hakim spielte schon mit Weather Report, Sting, Chic, Madonna, Miles Davis, Marcus Miller, George Benson…..
griff der Funk auf das Forum über! Keiner konnte hier mehr ruhig stehen, ein unglaublich druckvoller Sound. Larry Graham wurde mit Sly & the Family Stone bekannt und gilt als Erfinder der Slap-Technik am Bass. Seit 2000 ist er mit seiner Band Cental Staion unterwegs aber auch bei Prince am Bass. Hier gehts zu den Fotos! sofort mit und gibt einen nicht mehr her. Nach eineinhalb Stunden MM ein unglaubliches Finale mit allen drei Bassern….. What a sound! The Jazz days in Leverkusen Germany , now Nr. 34 is every year a show with fantastic artists. On monday the 11.11.13 it was the „superbass II“ section that started with Omar Hakim feat. Victor Bailey & Rachel Z. The drummer Omar Hakim played for a lot of people like Weather Report, Sting, Chic, Madonna, Miles Davis, Marcus Miller, George Benson….. here with his band. the stage turns to funk. An incredible sound, everybody starts dancing. 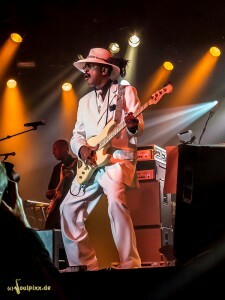 Larry Graham is the former bassplayer of Sly & the family Stone, here with his Band. Klick here for the Larry-photos! His bass controlls you from the first tone… I can`t get enough and started right after the gig for looking in his tourdates…. The evening ended wit a fantastic jamsession of all three bassplayers… lets groove…….